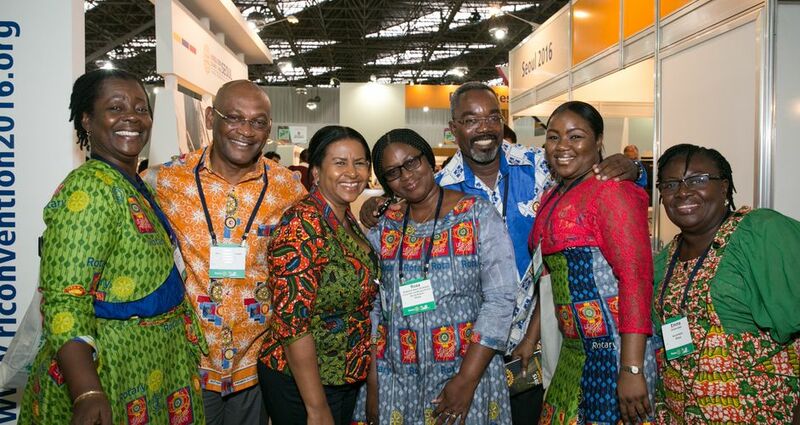 Rotary International Convention, Sao Paulo, Brazil, June 2015. In preparation of the 2017 Rotary International Convention, Rotary received a record number of paid pre-registrations during the 2016 convention. With nearly a year before the convention begins, more than 21,000 attendees have already registered, far exceeding previous convention totals for the initial May-June registration period. The 2017 Rotary International Convention will be held in Atlanta, coinciding with the centennial of the Rotary Foundation, which was established during the 1917 convention in Atlanta. The convention pre-registration announcement comes on the heels of significant strides made against the eradication of polio, Rotary’s flagship cause. With just two polio-endemic countries, Afghanistan and Pakistan, there is an opportunity this year to see the last case of polio, giving convention attendees an additional reason to celebrate. Atlanta Convention & Visitors Bureau (ACVB) and Georgia Department of Economic Development representatives attended the 2016 Rotary International Convention in Korea to pre-promote Atlanta. Both organizations provided pre-and post-trip planning for attendees who registered while on-site in Korea. Attendees were further incentivized by a discounted pre-registration rate offered in recognition of the 100th anniversary of the Rotary Foundation. The 2017 Rotary International Convention will be held June 10-14 at the Georgia World Congress Center. The last time Rotary held its international convention in Atlanta was in 1970.